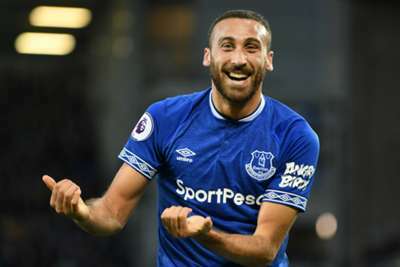 Marco Silva's substitutions proved inspired as late goals from Dominic Calvert-Lewin and Cenk Tosun helped Everton to a 2-0 win over Crystal Palace, who had a Luka Milivojevic penalty saved. Despite their control of the game, Everton did not test Wayne Hennessey in the Palace goal until the 28th minute when Gylfi Sigurdsson met Seamus Coleman's cut-back and forced a vital save. The visitors soon enjoyed a promising spell of their own and went close to the breakthrough – Kouyate heading against the crossbar from close range after James Tomkins nodded Andros Townsend's corner across goal. Wilfried Zaha won Palace a penalty in the 60th minute when tripped by Coleman, but Milivojevic saw his effort – struck straight down the middle – saved by Pickford's foot. Tosun then put the game beyond Palace two minutes later, racing on to Michael Keane's long ball and coolly slotting past the helpless Hennessey, moving Everton up to eighth in the Premier League. Aside from his generally authoritative display, Pickford's importance to Everton on Sunday was huge. Although Calvert-Lewin and Tosun ultimately took the plaudits with their late goals, had he not saved Milivojevic's penalty, there is every chance Everton would have been too deflated to go on and score.